Taxis queue outside of both terminals, offering quick and convenient transfers to any destination in the greater metropolitan area. Taxis are certainly one of the more often used transit options. However, they’re arguably the most convenient means of completing a one-off connection to or from the airport. For passengers landing at Dublin Airport, following the signs in the Arrivals Hall to the rank in the forecourt of the terminal. A dispatcher at the rank can answer specific queries and otherwise help arrange transport. Taxis that operate to and from Dublin Airport are licensed, and this means that passengers enjoy certain entitlements. Among these is the right to have all fares calculated on the meter, and to receive transport to any destination within a 30-km radius of the airport. Fare information should be clearly displayed in the cab, and a receipt can be printed upon payment. All the taxis operating at the airport are regulated, which also publishes guidelines and handles fare disputes and complaints regarding driver conduct or the condition of a vehicle. In the event that a dispute does arise, passengers are advised to pay the fare and request a printed receipt from the driver before filing a formal complaint. Shannon Airport is one of Ireland's three primary airports, along with Dublin and Cork. In 2014, 1.64 million passengers passed through the airport, making it the third busiest airport in the country after Dublin and Cork. 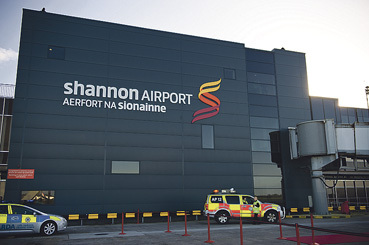 Shannon Airport is in Shannon, County Clare and mainly serves Limerick, Ennis, Galway, and the south-west of Ireland. In 1936, the Government of Ireland confirmed that it would develop a 3.1 km2 (1.2 sq mi) site at Rineanna for the country's first transatlantic airport. The land on which the airport was to be built was boggy, and on 8 October 1936 work began to drain the land. By 1942 a serviceable airport had been established and was named Shannon Airport. By 1945 the existing runways at Shannon were extended to allow transatlantic flights to land. The airport is also served by local taxis. There is a taxi rank outside the arrivals entrance. Car hire is available in the arrivals hall of the terminal building, with eight car rental firms operating at the airport. Private-hire coaches and buses are available from many operators such as Eirebus; these need to be pre-booked and can transport passengers to any destination throughout Ireland. Cork Airport is one of the three principal international airports of Ireland, along with Dublin and Shannon. It is located 6.5 km (4.0 mi) south of Cork city in an area known as Farmers Cross. 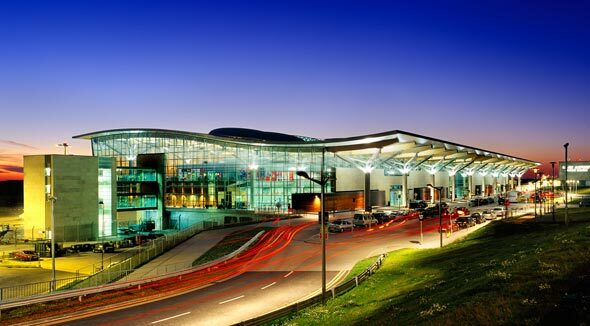 In 2014, Cork Airport handled 2.1 million passengers, making it the state's second busiest airport in terms of passenger numbers, after Dublin, and third busiest on the island of Ireland, after Dublin and Belfast International. Cork Airport has a long history of general aviation flying. Both fixed wing and rotary wing flight training providers operate at the airport. These flying schools are located to the south of the terminal building, on the east side of the main runway. Cork Airport also serves business jets. Cork Airport has recently completed a Master Plan for the overall development of the aerodrome into the next twenty years which could, in time, lead to an effective trebling in size of the current airport. Under the plan, the airport will be further-developed on a gradual phased basis from 2015 onwards. The cargo area, currently located to the north–east of the airport, is envisaged to be moved in time to the south–east quadrant of the airport grounds, south of the current location for general aviation. 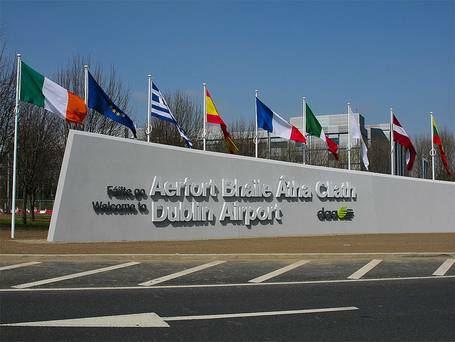 In moving there, the general aviation area would, in time, be transferred directly opposite the main runway to the south–west of airport, just south of Runway 7.
is an international airport serving Dublin, Ireland and is operated by daa. It is located 5.4 nmi (10.0 km; 6.2 mi) north of Dublin city near Swords, in Fingal county Dublin. In 2014, 21.7 million passengers passed through the airport, making it the busiest of the state's airports by total passenger traffic. It also has the greatest traffic levels on the island of Ireland followed by Belfast International Airport. The airport has an extensive short and medium haul network, served by an array of carriers as well as some intercontinental routes focused in the Middle East and North America. It serves as the headquarters of Ireland's flag carrier Aer Lingus, Ireland's regional airline Stobart Air (formerly Aer Arann) and also Europe's largest low-cost carrier Ryanair, along with Air Contractors, together with a fifth airline, CityJet, which doesn't maintain major operations here. The current Terminal 1 building originally opened in 1972, and was initially designed to handle five million passengers per year. The original design included a second pier which would have been identical to the current decagon-shaped boarding Pier B, but this was never built. A car park was originally located on the upper floor of the building, and the access ramps are still in place but it was closed for security reasons in the 1970s and converted into offices. Terminal 1 has been regularly extended and improved over the last two decades. Terminal 2 is a 75,000 m2 (810,000 sq ft) terminal and pier (Pier E) which provides 19 air bridges for aircraft and is capable of handling 15 million passengers annually, thereby allowing the airport to handle 35 million passengers a year. The project was designed by Pascall+Watson architects, and the total cost is put at €600 million. Another pier (Pier F) is planned to be built to the south of Terminal 2 when required. The majority of long-haul carriers have moved to Terminal2. DAA has its own branch of the Airport Police Service which is mandated to provide aviation and general policing at the airport. The Airport Police Station is centrally located on the Arrivals road between Terminals 1 and 2. The airport also has its own Airport Fire and Rescue Service which provides cover to the entire campus, its roadways and lands. The fire service responds to all aircraft incidents, domestic fires, medical emergencies and road traffic collisions. 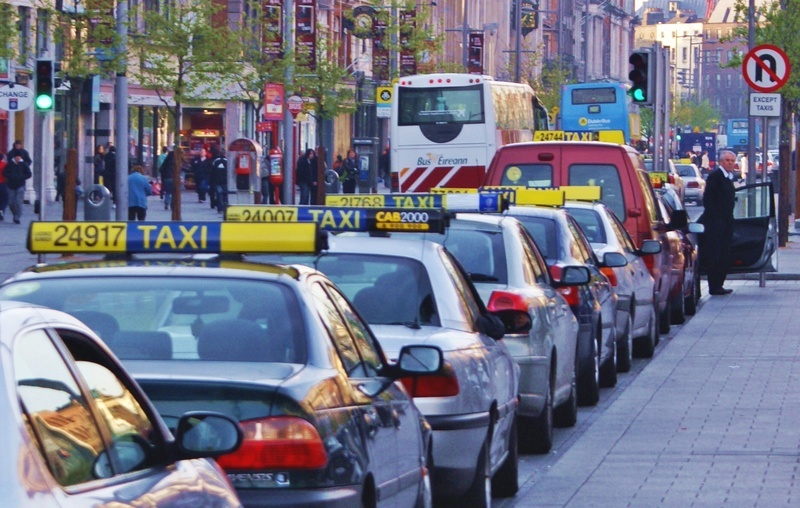 Recently due to taxi licensing regulations the number of taxis in Dublin has increased from 2,000 to around 16,000! This makes finding and hailing a taxi in Dublin fairly easy. There are two different types of taxis in Dublin, Licensed taxis and hackney cabs. Hackney cabs are unmarked cars that must be hired for a fixed rate from a hackney office, typically a small walk in shop on any of Dublin’s main roads, with a sign reading “cabs”. 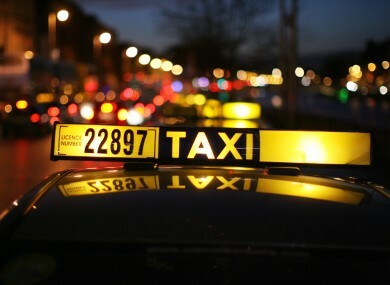 Licensed taxis in Dublin use metered rates and can be found at a taxi stand or simply by hailing one on the street. When hailing a taxi on the street, make sure to stand on the side of a busy street facing traffic. Raise your hand in the air to signal the taxi to stop and pick you up. 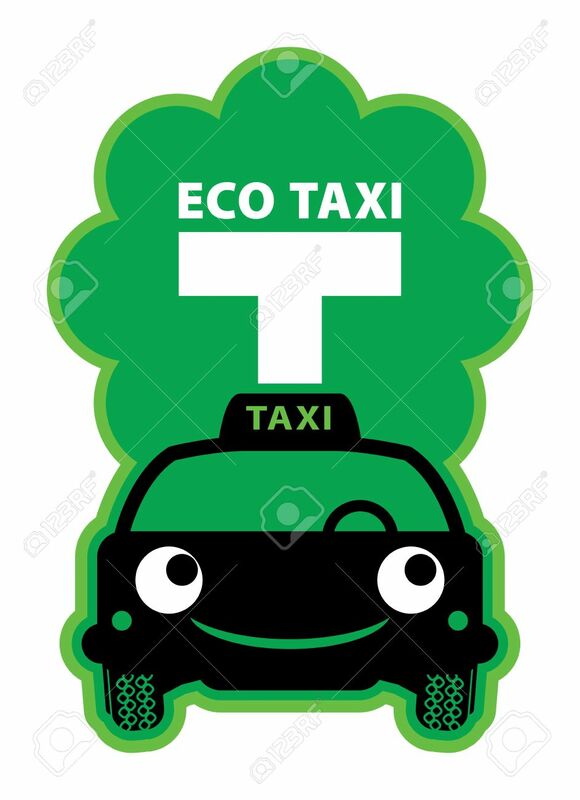 You will be able to recognize the licensed taxis because all of them are required to display a yellow TAXI sign on top of the roof. If you are uncomfortable hailing a cab from the street there are about 79 taxi stands in the city of Dublin! All of the large taxi stands are open 24 hours a day with additional taxi stands opening between 10:00PM – 6:00AM. The main taxi stands in the city center are located near the main gate of Trinity College, O’Connell Street (near Parnell Square), and on College Green (near the Bank of Ireland). Should you tip your Taxi Driver in Dublin? Tipping is not expected when taking a taxi in Dublin but it is very common to round your fare up at the end to the nearest increment of 5. Can you pay by credit card in Dublin Taxis? It is not required for the licensed taxis in Dublin to have credit card machines, making only some of the vehicles equipped to handle payment by a card. It is always advisable to have cash on you before you enter a taxi in Dublin. How many people can a Dublin Taxi hold? Taxis are licensed to carry up to 4 people at a time.